Accessing archives through printed finding aids no longer meets all of the users’ needs. Especially when accessing and searching for records via archive catalogue, printed directories are limited. 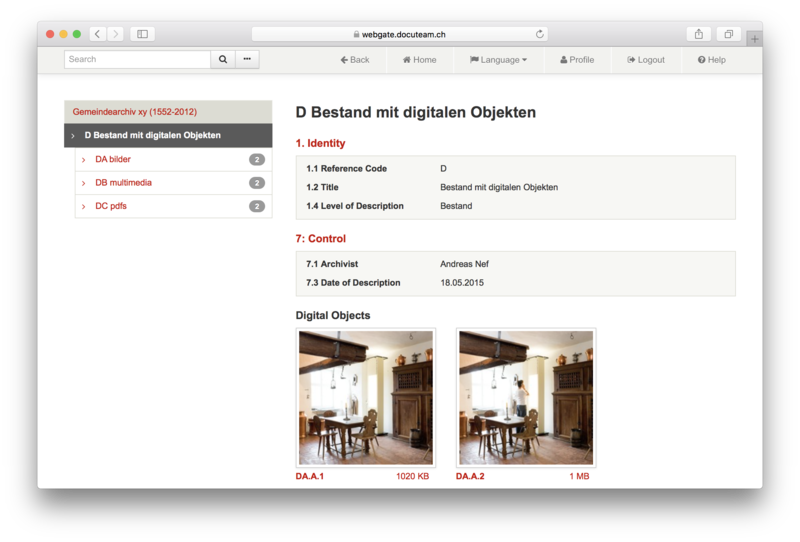 This is where docuteam uses webgate, offering users an online-version of their archive catalogues. This allows a flexible use of readily available information, regardless of location. 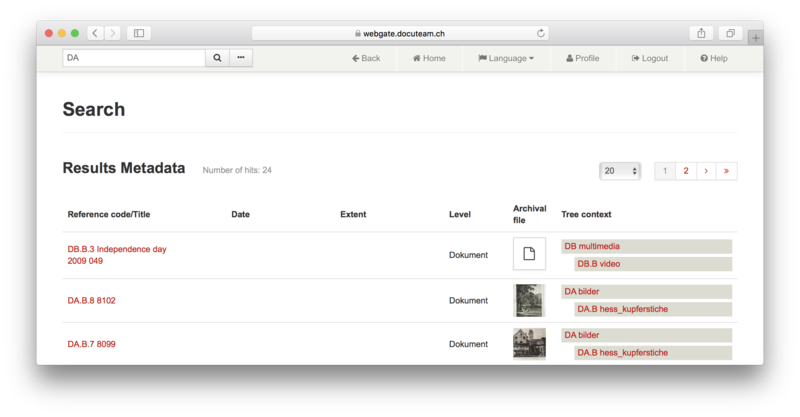 Docuteam webgate can be accessed via http://webgate.docuteam.ch and is available in three languages: Français, English, Deutsch. Upon completion of the project you will receive an email with an invitation for registration, allowing you to set a password for your webgate access. The password is personal, disclosing it to third parties is your own responsibility. The button “back” in the toolbar has the same function as the one in your browser, which is necessary for certain tablet-displays. The button “main page” will return you from any page back to this overview. If you have access to one archive only, its catalogue will be displayed to you directly. The number behind a sub-entry shows you how many sub-entries that particular entry contains. The detailed search can be accessed by clicking the button with the three dots. In addition, the fields “textfields”, “reference code” or “year” can be searched. The results are displayed according to the tectonic structure of the archive. The column “context” shows the first two superior levels of a particular entry. A wildcard search (truncation, placeholder) is possible using '%'.